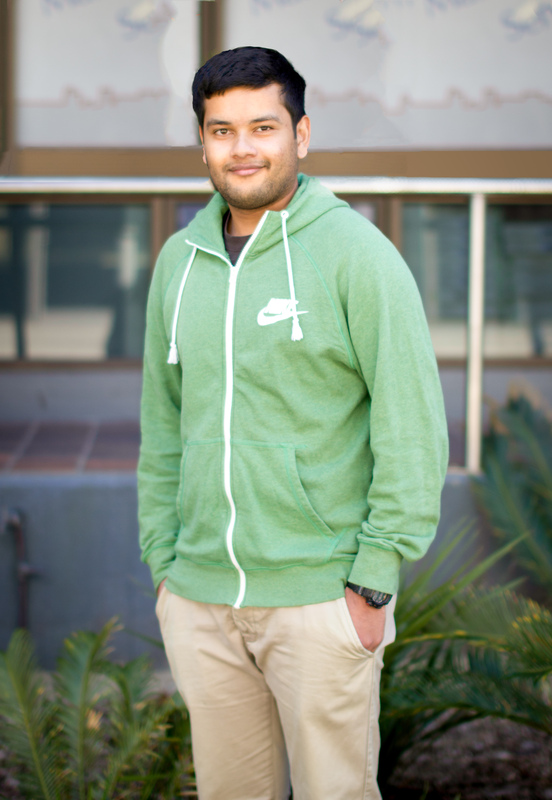 Richard Kumar, currently in his fourth year of a Bachelor of Commerce/Bachelor of Science Degree, has been volunteering as a research assistant in UNSW’s Psychology Department for the duration of the year. He shows us that research opportunities at UNSW are available at undergraduate level and not just restricted to those involved in postgraduate studies. 1. How did you score your position as a research assistant? Around the end of 2012, I noticed an announcement on Blackboard for my PSYC3121 Social Psychology course stating that my lecturer was seeking volunteer research assistants for her study. I thought it would be a great opportunity to obtain some practical experience in Psychological research, complement my studies of Marketing research, increase my understanding of scientific methods, prepare me for Honours, and also be mentored by a well-respected researcher/lecturer. After submitting my application, which included a tailored personal statement and my academic transcript, my lecturer gave me the opportunity to volunteer during Semester 1, 2013. I proceeded to receive training and started administering the study to first-year participants. In retrospect, the three key factors that allowed me to score the position were: constant communication with my supervisor, a deep level interest in the topic area, and strong intrinsic motivation for the experience I would gain. I was very pleased when my supervisor considered me as a valuable member of the team and asked me to continue on with the role in Semester 2. 2. What kind of projects were you involved in as a research assistant? In my role as a research assistant I was involved in communicating directly with participants. My tasks included briefing, providing guidance, answering questions or comments, and debriefing. During Semester 1, 2013, I had to intentionally deceive participants to ensure independent variable manipulation in the study was controlled. It was very interesting to do that and observe the participants’ responses during the debriefing. 3. How did the role enhance your experience as an undergraduate? My role as a volunteer research assistant allowed me to see the practical side (or procedure section) of the many journal articles I read during my studies. Whereas I had previously thought that I would start working in a private company after graduating, gaining experience in research whilst still an undergraduate has exposed me to an alternative career path. 4. What is your advice to current students thinking about becoming involved in research as an undergraduate? Firstly, determine the reason why you want to do research. Is it that you want to develop an understanding of what research actually involves? Is it that you have a passion for the topic area and aspire to be a leading expert in the area? Whatever, the reason may be, this is the most important step before doing research. Start from first year. There is no need to wait to your penultimate or final year to get involved with research. Don’t let “lack of theoretical knowledge” hold you back from exploring new frontiers through research. Get into contact with your lecturers. They are the best people to ask for an understanding of research and since you’re already in their class, you can build a rapport with them over the topic area. Start talking to other UNSW students who are (or have been) involved in research at UNSW. One way to get into contact with other UNSW students is through faculty or school-based clubs and societies – there will definitely be some members who have been exposed to the world of research at UNSW. 5. What excites you about research at UNSW? Recently, I attended the Science Student Research Expo in the John Niland Scientia Building and was amazed by the calibre of research being produced by our Honours, Masters, and PhD students from all our Science Schools. The presentations and posters really increased my motivation to do research at UNSW because they showed me the practical application of research in the real world. I also came to understand that UNSW students are examining, exploring and explaining all facets of society and the improvement of humanity and society is an outcome of this. Another thing that excites me about research at UNSW is the quality and complexity of the research produced, and the number of supervisors available to assist students in designing a study, implementing it, and analysing the results. This means that I won’t have to do my research alone, and I can capitalise on the strong network of academics at UNSW to help me complete research that supports greater knowledge and understanding of different aspects of society.